This demonstration is OPEN to all interested Faculty. Welcome to our "class." Calibrated Peer ReviewTM (or CPR) is a versatile new educational tool that enables students to learn by writing about important topics in a course. With this writing tool students submit essays on-line, and after some training, review (i.e. grade) anonymously essays submitted by their peers. Regular use of Calibrated Peer ReviewTM assignments teaches students to articulate ideas coherently and to critically evaluate the worth of their own ideas and the work of others. The CPR system was developed as part of the National Science Foundation-sponsored Molecular Science Project (MolSci). This project is one of five major initiatives to improve chemistry education. The CPR system is just one part of MolSci Project. The other components focus on visualization of chemical processes through interactive explorations and an WEB based chemistry homework system. If you are a science instructor, we invite you to browse the MolSci and FLASH Materials. The CPR White Paper was written by Orville L. Chapman, Professor of Chemistry and Biochemistry at UCLA, and a designer of CPR. The white paper is available for download from the CPR website. We use CPR because we believe that clear writing demonstrates clear thinking. During a CPR assignment, students receive instruction, and then must synthesize that instruction by writing an essay. A carefully-constructed prompt and guiding questions focuses the students on the issues that are most important and clarifies what to cover in the essay. Students are challenged to understand the material well enough to explain in clearly written essay. In the calibration stage, students learn to evaluate example essays correctly. They respond to a series of questions that require them to read for detail. As they do so, they also read the correct content answers. When they evaluate their peer's essays they get more practice reading for content and detail. Finally, they must reflect on their own work as they evaluate their original essay. Using CPR you can easily assign instructional or creative essays to your class, have students learn to accurately assess the content and style of an essay, and then evaluate each other. You need only to activate the assignment and make periodic checks of student progress. Students have an opportunity to learn the correct content, and you are free to work with individuals, or go on to additional topics. In this online class you will experience CPR in the role of a student. complete a short CPR assignment on "Growing Tomato Plants"
The assignment begins April 22, 2003. Your must logon to CPR and complete your essay by April 30. You must complete the calibration examples, peer reviews and self-assessment by May 7 . E-mail Tim at telemark@chem.ucla.edu, to receive a "mock" student ID for this online course (demonstration). Read the CPR Student Handout and CPR Flowchart.You may not understand everything they contain (yet), but we suggest you print them, read them, and then go on to step 3 & 4 - making notes on the handouts as needed. You may also view the tour/introduction by Dr. Kenneth Chapman, California State University Northridge. Go to the CPR Login page to create your profile and to start using CPR. Follow the "New Users: first time logging in?" link. Select your institution as "1-CPR/Molecular Science Workshops." This choice should be right at the top. Remember to write down your CPR username. You need this one-letter and five-digit username and the password you created, each time you use CPR. Login to CPR and take the CPR Tour (about 10 minutes). After the tour, you will complete a short Quiz. This quiz will help you review the basic use and operation of CPR. After you have finished the tour and quiz, begin your CPR assignment. Remember, this is an example assignment, you are not required to be perfect (it is OK if you are not really even "good"). The entire assignment should only take 2 to 3 hours of your time, but you do not need to complete it all at once. Please pay attention to the deadlines shown. Tips are available at the CPR Student Help webpage. At the conclusion of the assignment, you can request "instructor" level access so that you may further explore the available tools and preview the Library of CPR assignments. You can explore these at your leisure. Contact us by email for help, advice, or just to chat. 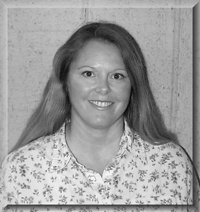 Janice is a mentor for the California Virtual Campus, serving as an online faculty advocate and instructional designer. She was also the interim online coordinator on her campus. A CPR-user for three years, Janice is a co-PI for the FLASH consortium, a 1999 NSF Adopt and Adapt-funded project to enhance the community college general chemistry curriculum. Members of the consortium test, improve, and promote the MolSci and other NSF initiative projects in college classrooms. As a FIPSE WATCh DOG she is helping to develop and test "Mastering Chemistry" and its related tools. Tim Su, City College of San Francisco,Chemistry Department. Chemistry Professor and CPR Trainer/Technical Support Coordinator. Tim is currently on leave and working at UCLA on the dissemination of CPR. At CCSF he was a Title III pilot instructor and Instructional Designer. He is also a co-PI for the FLASH consortium. He has worked with the design team to improve the CPR software, led CPR workshops for faculty from all disciplines and "trained" more than 400 faculty since January 2000. He continues to provide ongoing support to all of them, via email. Prior to joining the UCLA team, he designed, developed and implemented CPR in his own classes.